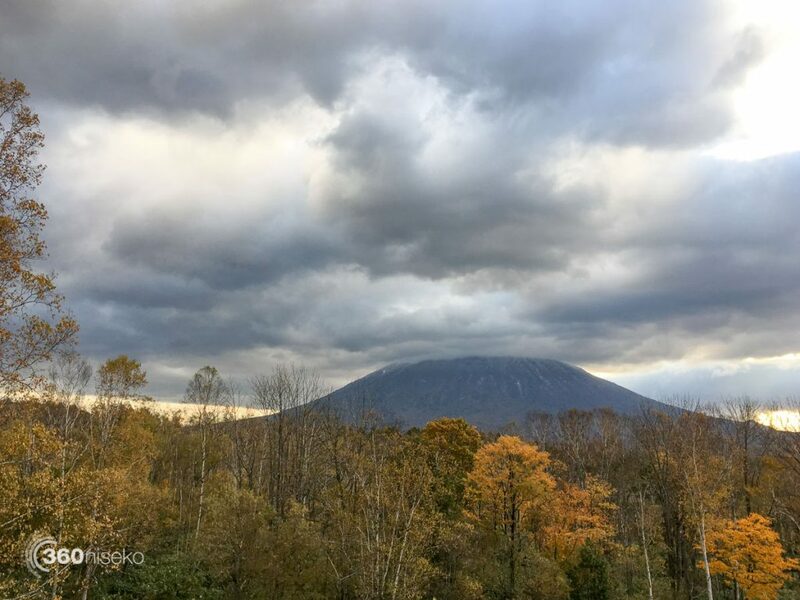 If it snows 360niseko will report about it! 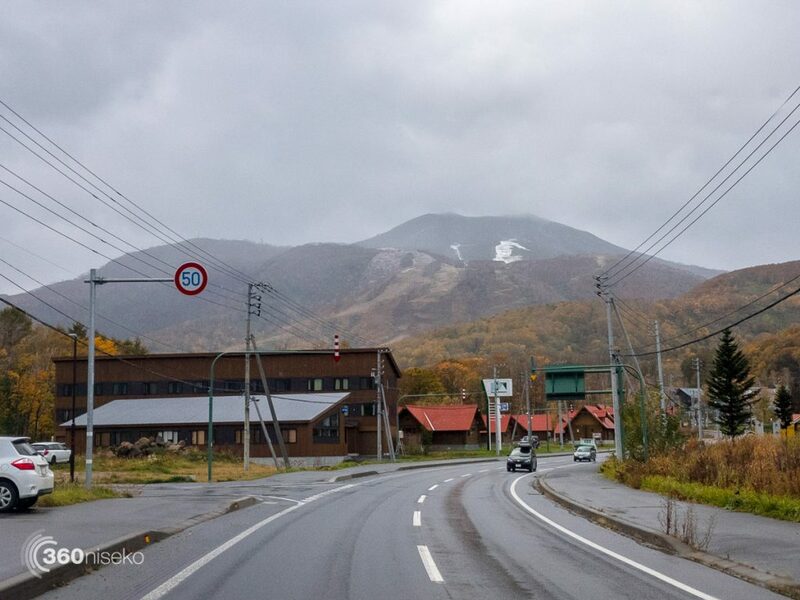 *A dusting dusting of fresh snow has accumulated in the last 24hrs in Niseko! 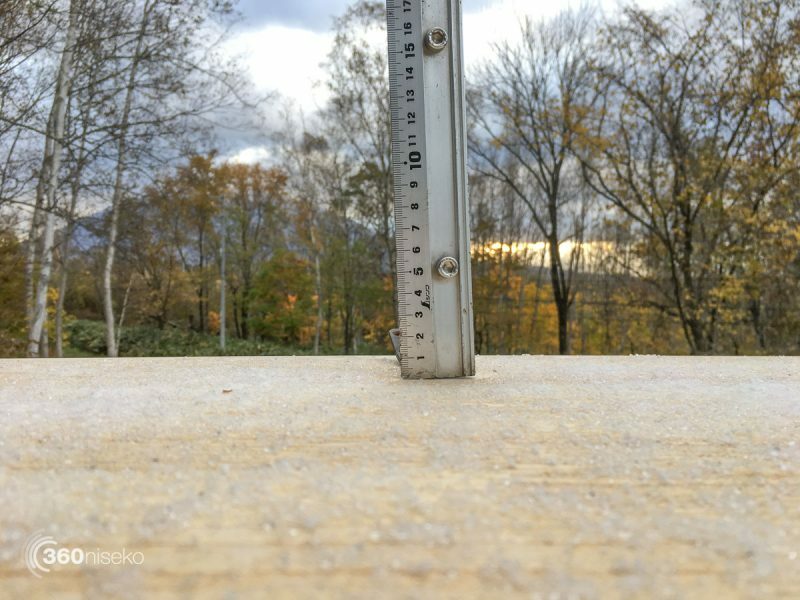 At 7:00 today the temperature was 4°C. The cold temperatures aren’t forecast to continue and snow will quickly melt. Great to see the ebb and flow of the seasons changing and the snow level dropping with the last of the autumn leaves. A strong front moved through the region yesterday bringing with it strong winds and freezing temperatures. 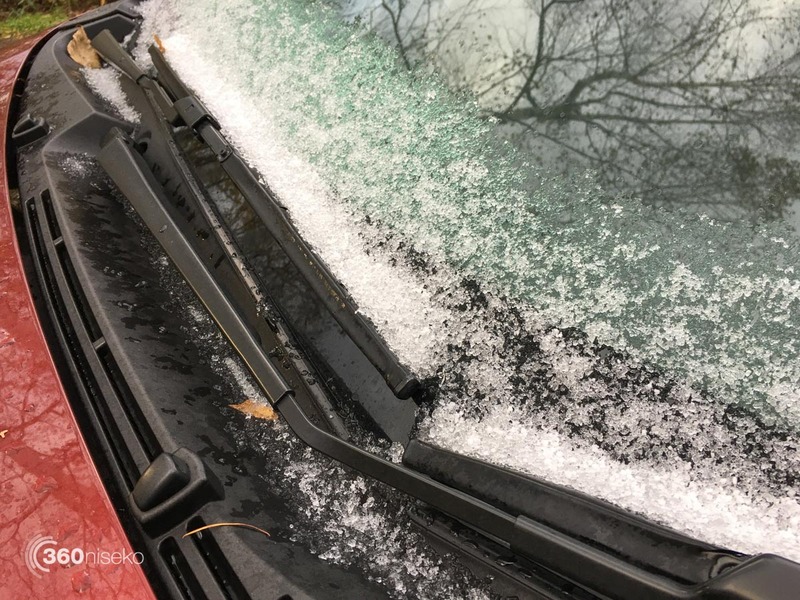 At around 12pm sporadic squalls of hail and rain which came down was hail or very granulated snowfall. 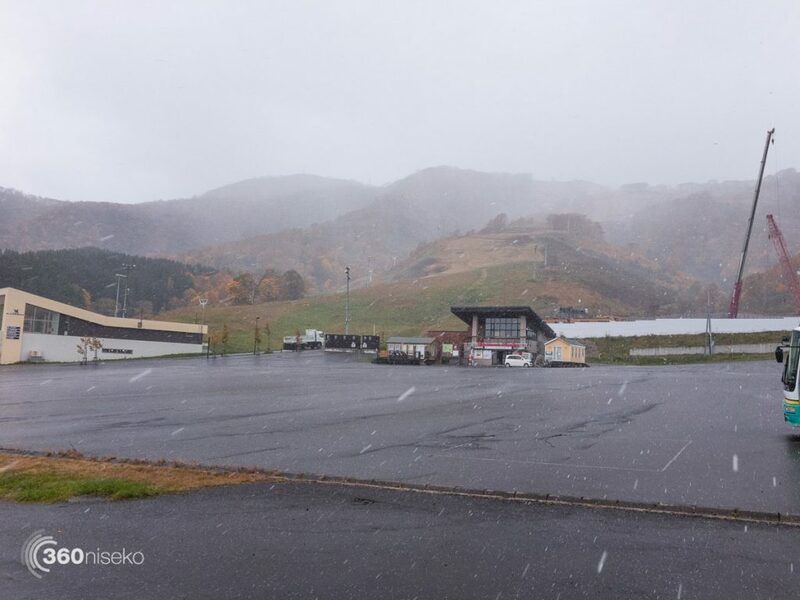 By early evening lighter snow was falling and accumulating on the roads and lower parts of Niseko United. First tracks?!? Not quite yet.